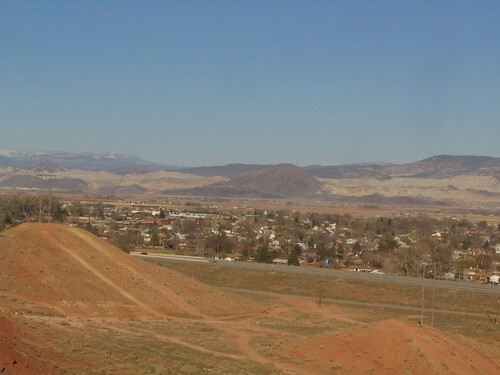 Richfield is a city in and the county seat of Sevier County, Utah, in the United States, and is the largest city in southern-central Utah. As of the 2010 census, the city population was 7,551. It lies in the Mormon Corridor, just off of Interstate 70 about 40 miles east of its junction with Interstate 15. The county can be best described as "rural diversified" due to the convergence of agricultural, retail and industrial activities. 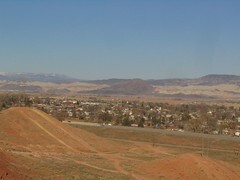 One of Richfield's regional roles is that it lies on the interstate freeway almost precisely halfway between Los Angeles and Denver. Many travelers between the two cities stop in Richfield to eat, get fuel, or spend the night. Though not large, Richfield is remote from larger cities. One has to travel about 100 miles or more in any direction to reach a more populous town, while dozens of less populous communities are found in the general area. Its remoteness, plus its location on major transportation corridors, makes it central Utah's de facto regional capital, a shopping and "commercial capital of a vast mountain-valley region." Many people travel to Richfield to shop, bowl, golf, to attend theater, concerts, or for religious gatherings. They are also drawn to the community college, affiliated with Snow College, and to receive medical care. Richfield is part of "Panoramaland", and is a thoroughfare to several nearby National Parks and forests.